Nuclear Treason Part 3: Who's Who at the Council for a Livable World? Council for a Livable World is a Washington, D.C.-based non-profit advocacy organization "dedicated to reducing the danger of nuclear weapons and increasing national security". In reality, C.L.W. is a leftist pro-disarmament lobby group, which has bought itself huge influence on Capitol Hill. C.L.W. was founded in 1962, by Leo Szilard, an Hungarian born Nuclear scientist and key initiator of the Manhattan Project. Szilard was a life-long communist sympathizer and an alleged agent of the Soviet Union. C.L.W. 's former long-serving president, CEO and current Chairman Emeritus Jerome Grossman, is a committed leftist and at least, an associate of the U.S.'s largest Marxist organization, Democratic Socialists of America. Several other leaders of this organization have connections to other Szilard creations, including the far left sister organizations Bulletin of the Atomic Scientists and Federation of American Scientists, as well as Democratic Socialists of America and the far left Washington based "think tank", Institute for Policy Studies - once described as the "perfect intellectual front for Soviet activities which would be resisted were they to openly originate from the KGB." Ruth Adams -1980s Board member (died 2005) - An arms-control activist and a former longtime editor of the Bulletin of the Atomic Scientists. In 1962, Adams served on the Advisory Board of the Hyde Park Community Peace Center alongside Communist front activists Timuel Black, Robert Havighurst, Sidney Lens, and Quentin Young. Comrades Black and Young would both go on to join Democratic Socialists of America and to befriend and mentor a young Chicago lawyer named Barack Obama. Adams would serve on The Bulletin of the Atomic Scientists in the 1980s with Quentin Young's wife, the late Ruth Young and also with future Obama "Science Czar", John Holdren. Adams was also a chair of the Institute for Policy Studies and a supporter of a Communist Party USA front (with Timuel Black and Quentin Young), the Chicago Committee to Defend the Bill of Rights. Bernard Feld - 1980s Board member - A member of Richard Nixon's famed "enemies list", editor of the Bulletin of the Atomic Scientists and a member of the Soviet friendly, pro-disarmament American Committee on East-West Accord. Jerome Frank - 1980s Board member - An affiliate of the Institute for Policy Studies and a member of the Board of Sponsors of the Federation of American Scientists. Herbert "Pete" Scoville - 1980s Board member - Former CIA Assistant Director of Scientific Intelligence and as Deputy Director for Research, and later was Assistant Director of the U.S. Arms Control and Disarmament Agency. 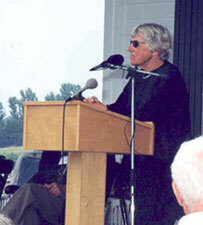 Scoville was active with the Institute for Policy Studies in anti-NATO and disarmament projects since the 1960s. In January 1978, Scoville participated in the Washington, D.C. meetings of the World Peace Council Bureau, a well documented Soviet front. Kosta Tsipis - 1980s Board member - Former Board member of the heavily communist and socialist infiltrated SANE - "A Citizens' Organization for a Sane World". A member of the Board of Directors for the Bulletin of the Atomic Scientists. Paul Warnke - 1980s Board member - A leading Arms Control experts under Democratic administrations in the 1970s and '80s. A Trustee of the Institute for Policy Studies. 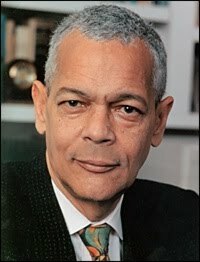 Julian Bond - Long time leader of the NAACP and a veteran of the Soviet front World Federation of Democratic Youth Festival in Helsinki, Finland in 1962. Bond is a long time member of Democratic Socialists of America and has been affiliated to several Institute for Policy Studies spin-offs and to the communist front Chicago Committee to Defend the Bill of Rights. In November 2006, Bond traveled to Cuba to take a first-hand look at the island’s health system, and especially to find out about the Latin American Medical School (ELAM) and its nearly 90 U.S. students. Tom Downey - A former far left Democratic member of Congress from New York. While in Congress, Downey was affiliated with and supported by the Long Island Progressive Coalition, a front for Democratic Socialists of America. Patricia Schroeder - A former far left Democratic member of Congress from Colorado. Schroeder was an affiliate of the Institute for Policy Studies and a protoge of Democratic Socialists of America leader and Democratic Party women's leader, Mildred Jeffrey. David Bonior, formerly number 2 Democrat in the U.S Congress, had most recently been working as a member of the Obama Economic Transition Team to reunify America's two rival labor federations, the AFL-CIO and Change to Win. Bonior was also a long-time affiliate of both the Institute for Policy Studies and Democratic Socialists of America. Since leaving Congress Bonior has become an open member of D.S.A. In May 2001, Erich Pfuehler from the office of Congressman David Bonior spent seven days in Havana, Cuba, for the purpose of "fact finding". The trip cost $2,004.43 and was paid for by the leftist Christopher Reynolds Foundation. 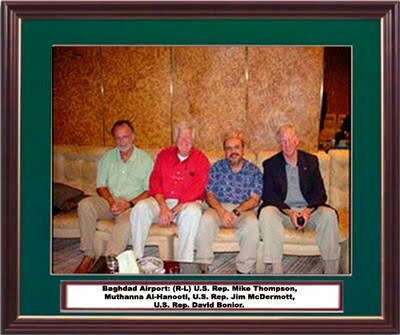 In 2002 Bonior and two other far left Democratic Congressmen Jim McDermott and Mike Thompson traveled to Iraq on a "fact-finding mission". It was later revealed that Iraqi intelligence had funded the trip through a Michigan-based Muslim group headed by Muthanna Al-Hanooti. Iraqi intelligence agents had reportedly received confidence that Al-Hanooti would be able to persuade Congress to lift economic sanctions against Iraq. A federal indictment unsealed in March 2008 accuses him of using his work with the Michigan-based Life for Relief and Development, formerly known as the International Relief Association, Inc., to become an Iraqi agent. According to the indictment, Al-Hanooti drafted a plan to undermine the sanctions for the Iraqis, listing members of Congress who would support the move. He then led tours to Iraq, indirectly funded by the Iraqi government, with congressional leaders including the 2002 Bonior, McDermott, Thompson jaunt. An intermediary for the Iraqis gave Al-Hanooti $24,000 in September 2002 to cover trip expenses, the indictment alleges. The next month, Al-Hanooti received $10,000 more. The indictment also claims he also was given the right to buy 2 million barrels of oil under Iraq's Oil for Food program. That is the caliber of the people who lead America's most influential pro-disarmament Political Action Committee.